Height 25 in. 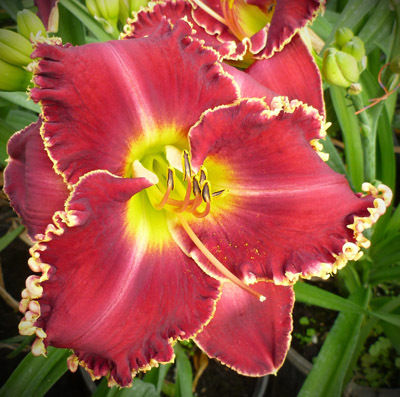 (64 cm), bloom 5.75 in. 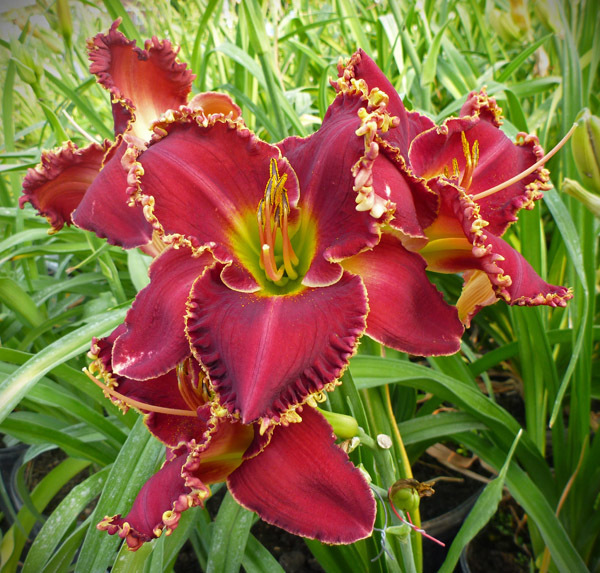 (15 cm), season M, Semi-Evergreen, Tetraploid, 18 buds, 3 branches, Prominent gold toothy edge surrounds a scarlet red self with an intense green throat.